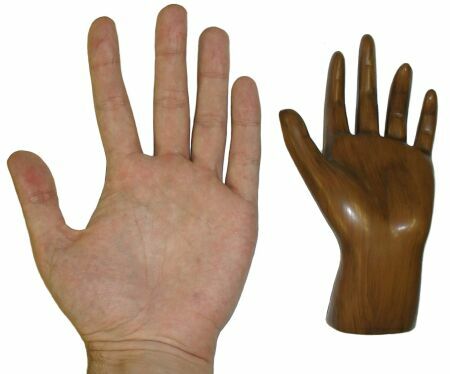 Not a lifelike model, smaller than a real hand size. 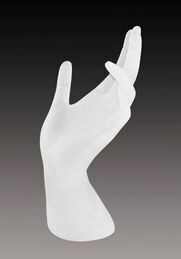 6" tall display 3-D hand is perfect for displaying necklaces, rings, bracelets or just as a unique decoration. Made of attractive frosted acrylic. Price: $12.00ea Item #: ACH/4 Color: frosted clear.